The craze for SUV inspired aesthetics is at its peak in India. This has resulted in cars in almost each and every segment, which can easily be made to look like an SUV, transformed by adding butch exterior elements and raised ride height to have them portray the essence of utility vehicles. One of the segments in which almost each and every vehicle has a ‘crossover’ cousin, is that of the compact hatchbacks, as a whole. Be it entry-level, or the premium one, each and every hatchback in the country now offers a rugged looking variant which embodies the exterior characteristics of a utility vehicle. And one of the most recent ones to join this bandwagon of transformation is Ford, with its Freestyle. 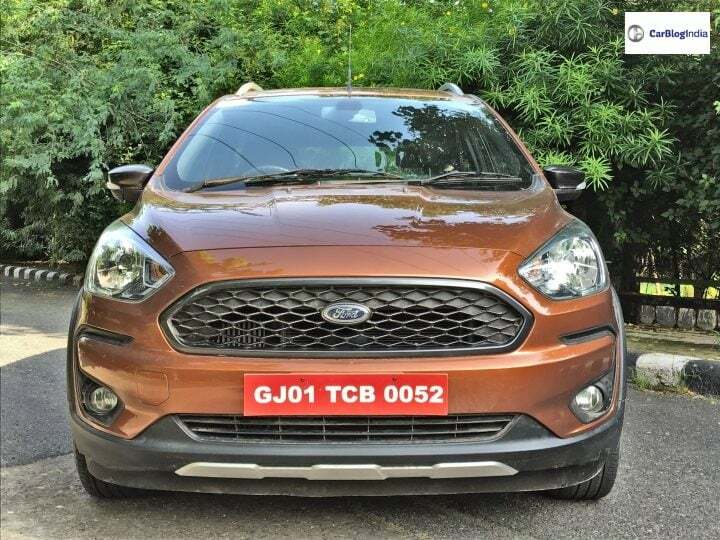 Launched in India during the month of April 2018, the Ford Freestyle transforms the sporty Figo hatchback into what the American automaker calls a ‘Compact Utility Vehicle’ or CUV. 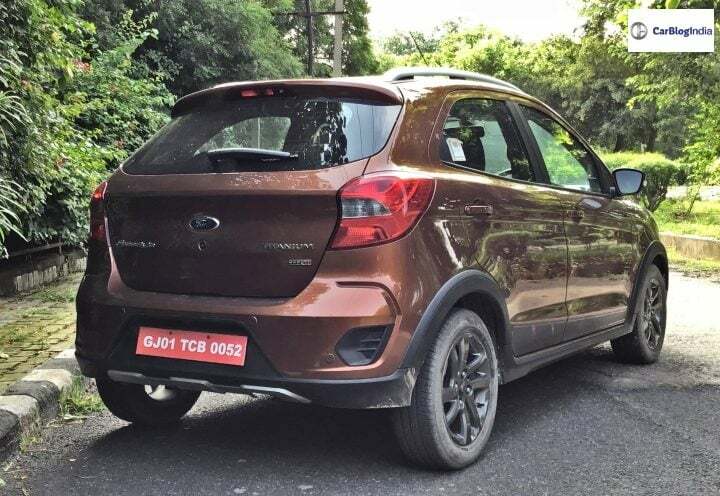 In addition to helping Ford in establishing itself in the segment of compact crossovers, the Freestyle also gave the automaker an opportunity to essentially bring the Figo’s mid-cycle update to India before actually bringing it to India. 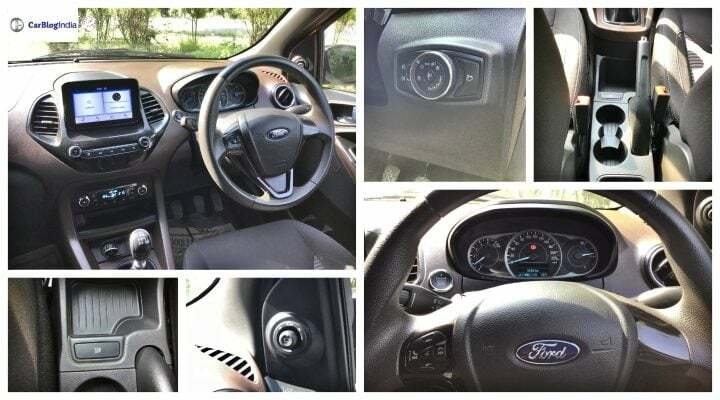 You see, behind the additional plastic claddings, the raised ride height and the new alloy wheels of the Freestyle is the updated Ford Figo hatchback, which is already on sale in select international markets. So the alteration on the front and rear bumpers, front grille and cabin layout that you see on the Freestyle in comparison to the current spec Figo hatchback, are the exact same visual changes that you are going to see on the Figo facelift when the company decides to launch the same in India. Nevertheless, we have talked at length about the exterior and interiors design of the Freestyle in our first drive report of this vehicle. And also about the new 1.2-litre Dragon series petrol engine which made its debut in India with the Freestyle. 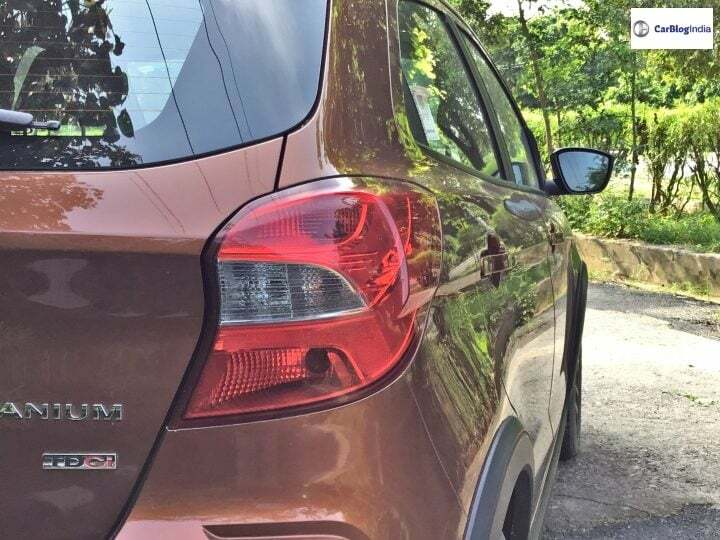 That said, at the time of the Freestyle’s media drive, we were not able to sample its much talked about 1.5-litre TDCi diesel engine which it carries over from the Figo hatchback. So in this report, we will be focussing solely on the driving dynamics of the diesel derivative of the Freestyle crossover. The 1.5-litre diesel engine in the Ford Freestyle is as enjoyable to drive as we have come to love it in the Figo hatchback. With 99BHP of power along with 215 Nm of peak torque on offer, this engine pulls effortlessly and cleanly from as low as 1,000 rpm. There is negligible turbo lag and when the forced induction does kick in, it makes the Freestyle lunge ahead like a loaded spring. The tall ratios of the gearbox allow you to avoid frequent downshifts. There is an adequate amount of idle torque on offer to ease the burden on your right foot in bumper to bumper traffic. The fourth gear has a ratio wide enough for all types of city commuting with the fifth only required for highway cruising alone. 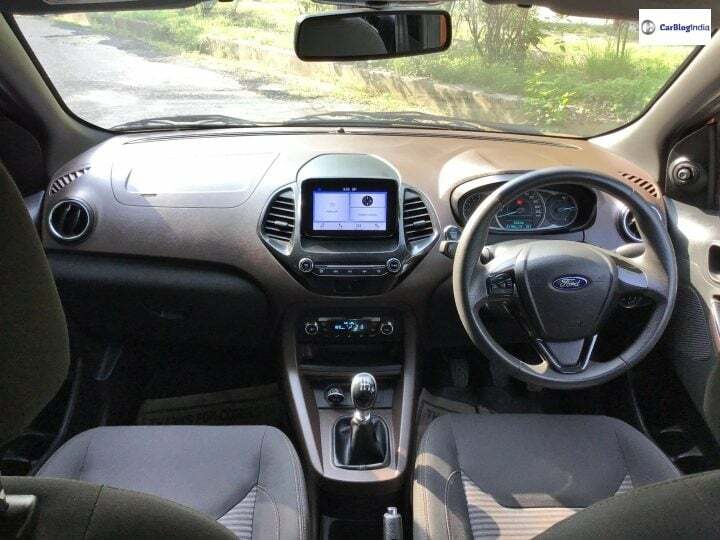 If you are buying the Ford Freestyle as your getaway vehicle, something in which you plan to munch highway miles, then our recommendation would be that you opt for the 1.5-litre diesel engine. The reason behind this is not only because of the oil-burner better and wide powerband but also because of two other important reasons. First, the clutch action. We know, in comparison to petrol derivatives, the diesel ones of a particular car, tend to have a slightly heavy clutch. But we found the one in the Freestyle diesel to be a tab bit ‘more than the usual’ heavy. The heavy clutch action nulls the advantage of the torque-rich diesel engine in bumper to bumper traffic. After about an hour of driving in heavy traffic in the Freestyle diesel, you have given you calf muscles a proper workout. The second reason why we believe that the Freestyle diesel is better suited for long distance mile munching is that of the noise that the 1.5-litre engine generated when idling. The continues ‘clatter-clatter’ from the engine is dulled enough but not-enough and subsides only when the engine reaches cruising speeds, in any particular gear. Such instances are when you wish Ford has introduced an automatic gearbox with this diesel engine as well. 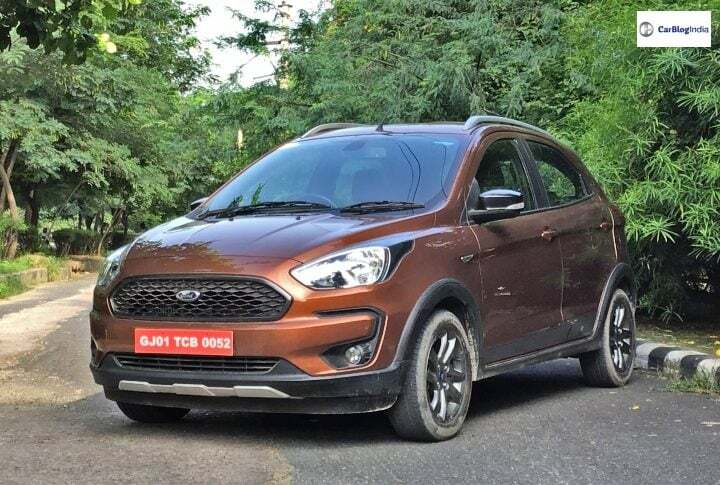 Summing it up, the Ford Freestyle bring a new, more muscular, better equipped and more capable iteration of the Figo hatchback to the table. Its new petrol engine did improve on many fronts in comparison to the older motor. The diesel engine, on the other hand, continues to offer the ‘fun’ factor for which it was renowned for. However, the package would have been complete with a lighter clutch and the addition of an automatic gearbox in this Compact Utility Vehicle’s portfolio.